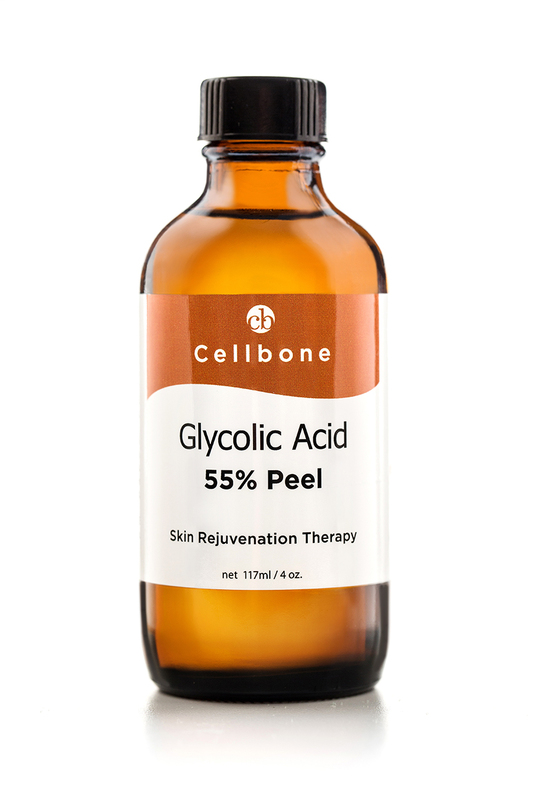 Glycolic Acid professional 55% Peel Gel easily penetrates into your skin to exfoliate outer layers of dead skin cells that dull your complexion and immediately expose a clear, softer, more radiant face. At the same time, the gel will stimulate the growth of new cells so that your complexion will continue to stay healthy - looking. 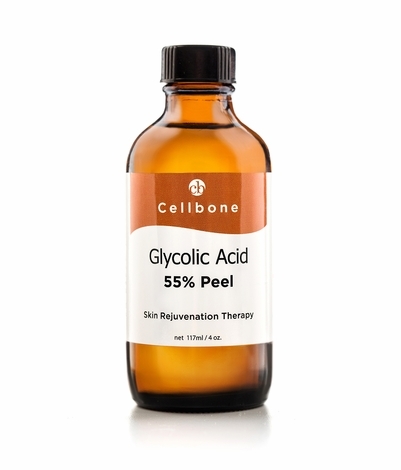 CellBone's Glycolic Acid Peel Gel will also diminish the appearance of age spots, reduce hyper-pigmentation to even skin tone, prevent blemishes and help reduce acne scarring. Our advanced formula has been naturally buffered at pH 1.2 contains Menthol and Cucumber Flower Extract for an amazingly cool, soothing and refreshing experience. This pure Glycolic Acid (purity of 99.7%) in the Peel Gel is used to enhance performance in many topical over the counter (OTC) and prescription (Rx) applications. Test this product on a small area of the skin behind the ear before applying to face. If irritation or redness occur, do not apply to face. Apply 2 ml on clean, dry skin and wait for 3 to 4 minutes. Wash off with cold water. Follow with Cellbone Hydra B5+ or Copper peptide (CP+) Gel or your favorite moisturizer. Use 2 to 3 times a week. Use sunscreen. Avoid direct contact with eyes. For External use only. Use only as directed. Use a sunscreen and limit sun exposure while using this product.